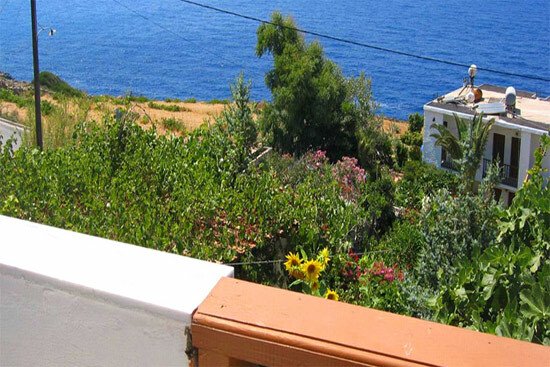 Ikaros Studios - Ikaria. Book direct with apartment owner and save money. 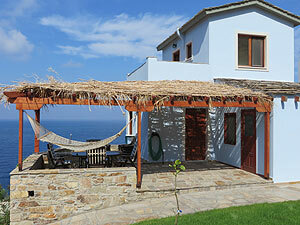 Ikaros Studios is a complex of newly built studios in the picturesque village of Nas. 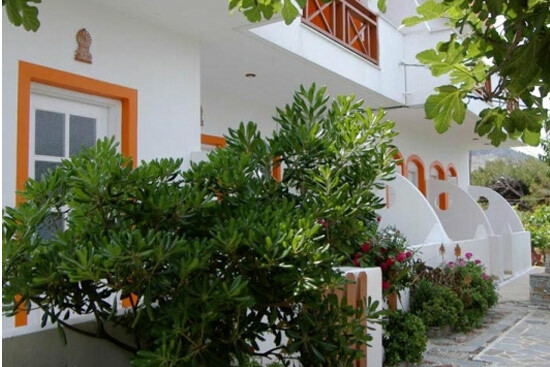 The studios are situated in a peaceful location overlooking the sea, and only within a short walking distance from the local beach, restaurants and shops. 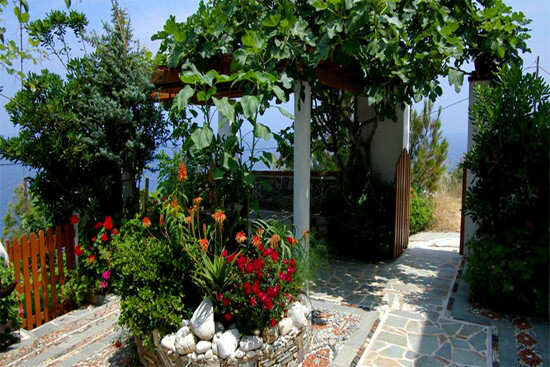 Ikaros studios are built in a traditional island style, surrounded by every imaginable shade of blue and green in nature. The front side of the studios has magnificent sea view and the backside is in the pine trees. There is also a yard surrounded by a beautiful garden with multicoloured flowers. 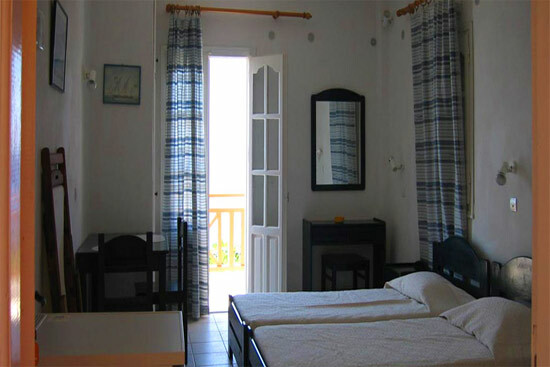 The studios are spacious, comfortable and tastefully furnished. 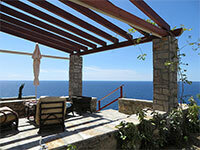 They are equipped with A/C, TV, kitchenette, refrigerator, ceiling fan, hairdryer, private bathroom and toilet. 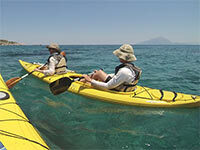 The combination of the sea, the blue sky and the trees creates a delightful scenery for unforgettable holiday. 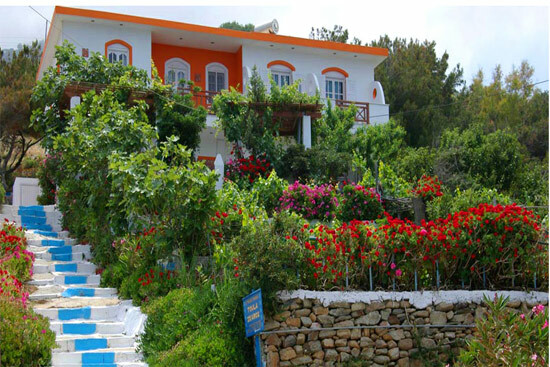 Short walking distance down to the beach of Nas, Temple of Artemis and Halaris River.